Single wide mobile homes, sometimes called trailers, are one story homes built on wheels so they can be delivered directly to a home site. A single wide will be no more than 18 feet wide and 90 feet in length. While single wides are built on wheels, skirting is usually placed around the bottom of the home to hide the wheels from sight. When the wheels and undercarriage are hidden, a mobile home is nearly indistinguishable from a site-built home. Rooms are typically laid out in a single line with a hallway running along one side of the home. Most single wide homes have two or three bedrooms and many have up to one and one-half baths. Space saving features, large windows and light color wall and floor coverings in smaller mobile homes give the illusion of more space. Most manufacturers will customize the home floor plan for little or no extra price. Shop around though, because prices can vary. At 1,000 square feet or less, a single wide is a small home. Small houses are more environmentally friendly than larger homes, using less energy to heat and cool. A single wide is also recyclable, many are refurbished to use as offices or for storage when they are no longer needed as a home. 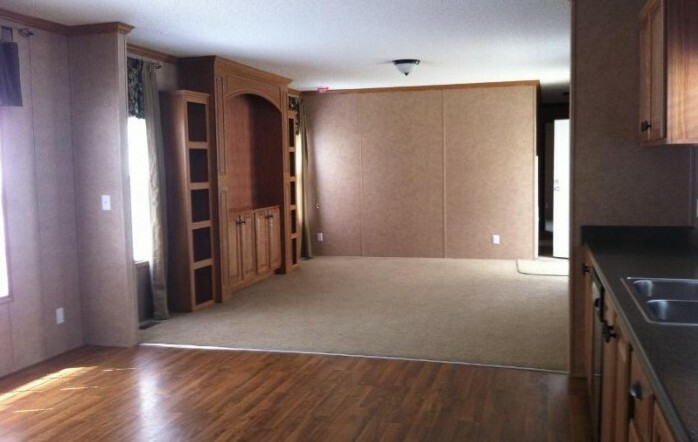 Single wides are easy to move, owners have their entire home relocated as opposed to moving from apartment to apartment if they frequently move to be closer to work or family. Many owners rent lot space in an existing mobile home community, also called a mobile home park. The rental will typically include hookups to utilities and trash removal service. Larger mobile home parks may have common community areas with playgrounds or picnic areas for residents to enjoy. Families looking for a more permanent solution will buy a plot of land and permanently install the home on a foundation. The small size of a single wide leaves plenty of extra space on small lots for yards and gardens. Because single wide mobile homes are affordable housing and fit easily on small plots on land, they are often bought as second homes and placed on land or in mobile home communities near recreation areas. Single wides offer easily affordable vacation homes for families who would not otherwise be able to afford a second home. 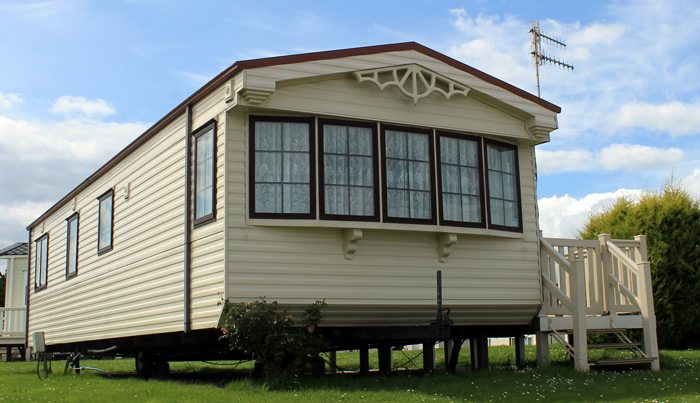 At only 18 feet wide, growing families may find a single wide mobile home too small after a few years. Many families choose to add on a screened-in, covered porch as an extra room or purchase a small outbuilding for storage. A larger home may be a better option. Single wide mobile homes make excellent low maintenance homes for senior citizens and since the homes are one story, they are ideal for anyone who finds it difficult to manage stairs. Maintenance is also easier as there is no need to climb to clean gutters, paint the exterior or clean second story windows. Many mobile home parks cater to couples and singles over 50 years of age. Single wides can be an ideal affordable housing solution for families, allowing more families to participate in the American dream of home ownership.